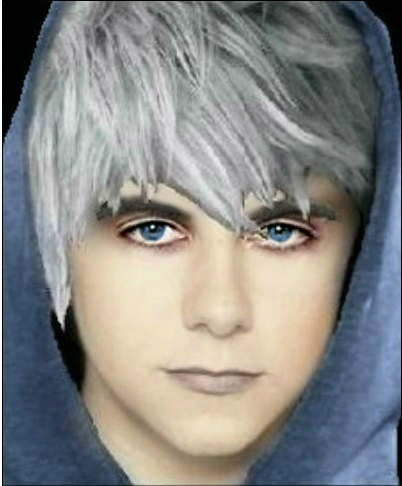 Jack Frost in real life.. This singer looks alot like Jack, so I changed the image up a bit and made him look even more like Jack. :c) Please, if you use it, ask for permission. I worked hard on this, lol. I wish I had photoshop...Anyway, I hope you guys like it! . Wallpaper and background images in the Rise of the Guardians club tagged: the real jack frost rise of guardians picture.